Left-turn accidents are among the most common type of motorcycle accident. If you've been injured in this type of collision, you can file a personal injury claim against the at-fault driver to seek compensation for accident-related expenses. A motorcyclist trying to pass a car is hit when the car driver does not see him and tries to make a left turn. A motorcyclist going straight through an intersection is struck by a car driver who attempts to make a left turn. The motorcyclist is traveling straight but is hit when a car driver in the opposite lane makes a left turn across the oncoming traffic. Motorcyclists can also be hurt when they make an evasive maneuver to avoid being struck by a car making a left turn. These types of accidents tend to get reported as single vehicle crashes, but they can still be eligible for personal injury compensation if you can establish that your actions were due to the need to avoid a more serious collision caused by the car driver's left turn. Write down a detailed account of what you can remember about the accident while it's still fresh in your mind. Have someone take photos of the accident scene, your visible injuries, and damage to your bike. Collect names and contact information for all witnesses. Check to see if the accident may have been caught on nearby surveillance cameras. Request a copy of the police report. Keep copies of all medical records showing the extent of your injuries. Keep in mind that you can still receive compensation if you are found to be partially at fault for the accident that caused your injuries. However, under Louisiana law, your settlement will be proportionately reduced by your percentage of fault. If you fail to abide by Louisiana's helmet law for motorcyclists, it will likely be determined that you’re partially at fault for the accident, unless you did not receive a head injury that could have been prevented by helmet use. A personal injury claim is a civil lawsuit that seeks compensation for accident-related expenses after you've been hurt in an accident caused by another party's negligence. This is a separate action from any criminal charges related to the accident, although the at-fault driver's conviction for an offense such as a DUI can be used to help establish negligence. Typically, Louisiana law allows you one year from the date of the accident to file a personal injury suit. This is referred to as the statute of limitations. You are not required to have an attorney to file a personal injury claim, but retaining legal representation is the best way to protect your right to compensation. A skilled attorney can help document damages, establish negligence, and negotiate with the insurance company on your behalf. Since personal injury attorneys accept cases on a contingency fee basis, you do not need to pay upfront to obtain representation. Your attorney will accept a portion of the final settlement as the fee for service. 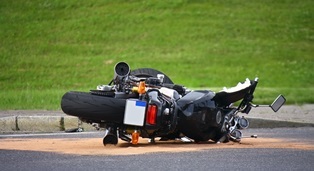 Have You Been Injured In A Louisiana Motorcycle Accident? If you or a family member has been injured in a motorcycle accident you need to speak with an experienced motorcycle injury attorney as soon as possible. Please contact us online or call our Alexandria office directly at 318.541.8188 to schedule your free consultation. Attorney William Neblett practices personal injury, maritme, medical malpractice and nursing home abuse law.